What is a Momma Bear? Momma Bear (noun) 1. one of the most protective animals in all of nature, known for providing and caring for her cubs 2. A parent fiercely devoted to protecting her children. "Woe be to one who provokes the wrath of the mother bear from protecting her young." 3. known as one of the most powerful forces in nature "Never, ever, ever cross a Momma Bear" (verb) 1. taking action to protect children. "I'm gonna Momma Bear that politician for selling my children's education." Someone jokingly called one of us a "Momma Bear" for having the courage to stand up against politicians to defend our children's public schools. We realized that's what we were! Since then, we've met many other people who didn't realize they were Momma Bears, but they are. Momma Bears defend and support children and public schools. Momma Bears realize that quality public education is a right for every child. There are greedy corporations and politicians eager to destroy and profit from our American public school system and vulnerable children. 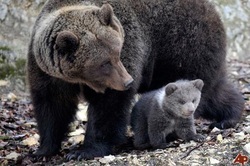 Momma Bears are united in defending and protecting our young and their future from these threats. It is our hope that this group will connect lots and lots of Momma Bears, because we are stronger together than as individuals. Together, we must protect our children and public schools and we must also support the teachers who nurture, inspire, and protect our children. are also welcome to join our group.